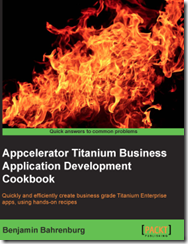 Looking to include voice recognition in your Titanium app? You can use the OneTok service and the Titanium module to add this feature into your Titanium project in just a couple lines of code. OneTok provides developers with a simple and flexible infrastructure for building voice recognition controls into mobile apps. To learn more please visit them here OneTok.com and review their documentation here. The Ti.OneTok module provides a wrapper around the OneTok SDK allowing you to call it from your Titanium Project. The Ti.OneTok module is available for download from the github project. You can download the compiled iOS module here. Documentation is available for the iOS module here. The complete code, documentation, and example app.js is available for download ongithub here. Ti.OneTok is available under the Apache 2 license so feel free to fork, extended, and contribute. A full demonstration app.js is available in the module’s example folder. Below shows how to authenticate and tell OneTok which grammar to use. The below shows how to start recording. //We add the pending results to be used later. How do I start using OneTok? – OneTok requires an API key, please register at OneTok.com and follow their get started tutorial.